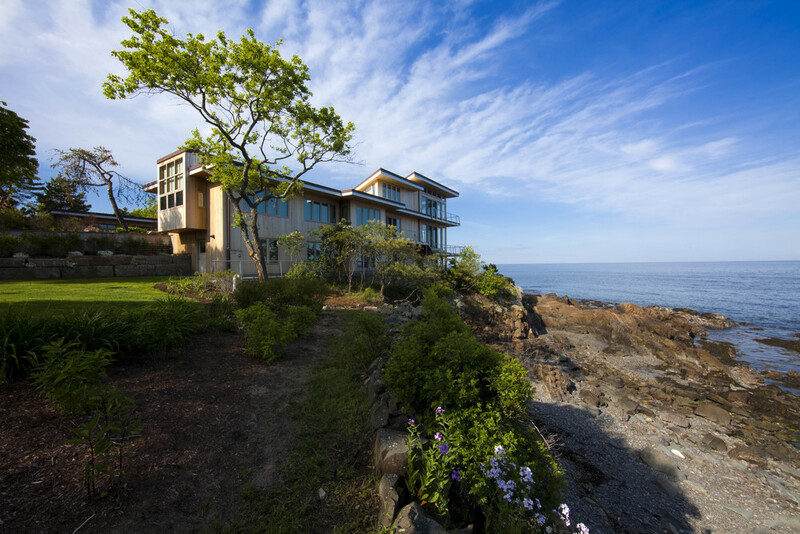 Located on a spectacular site on the coast of Maine, this project involved a complete renovation and addition to an existing modern residence originally constructed in 1962. The original home had ground breaking features for its time, including one of the first uses of insulated aluminum windows. Originally designed for two people, the structure needed major upgrading and additional space to accommodate a family of six and many expected guests. 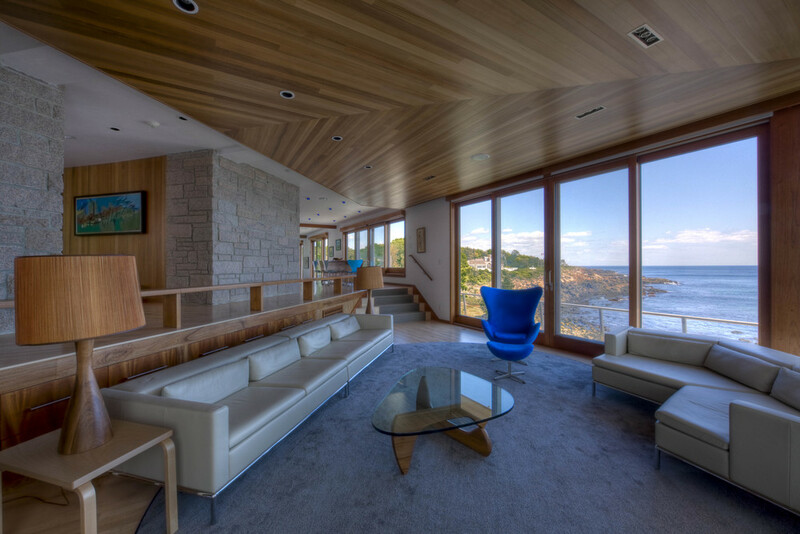 The design built upon the characteristic appearance of the original home, while eliminating several existing bay windows to provide a streamlined profile that also improved setbacks from the ocean. Most of the existing asphalt driveway was removed and replaced with pervious grass paving and new native landscaping, resulting in a significant reduction in impervious surfaces. The exterior decks were constructed of sustainably harvested and weather-resistant wood decking. 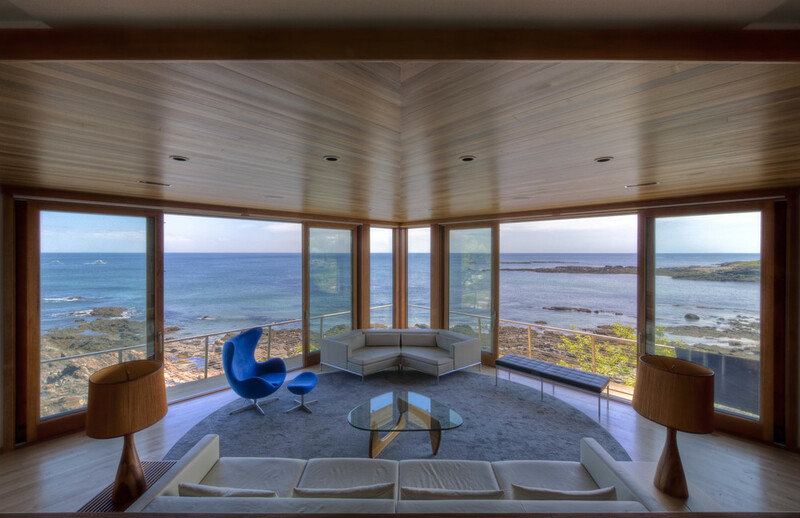 The new wood windows and doors feature high-performance low-e glazing, easy to operate lift-slide sliding doors, and were made locally in Maine. The building envelope has increased insulation levels with a new white cool roof membrane to reduce energy costs. The interiors incorporate a restrained, natural material palate. 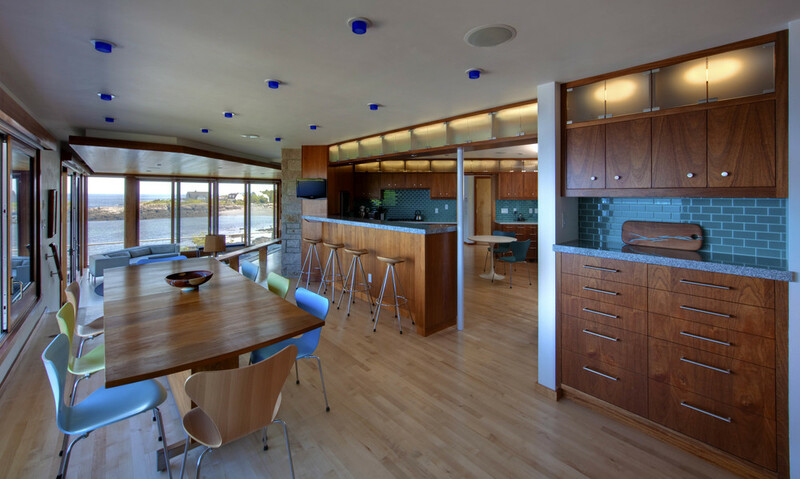 Maple floors, plaster & cedar walls and ceilings, and mahogany trim are accented with glass tiles that reflect the colors of the ocean. The plaster walls and ceilings were left natural and finished with a zero-VOC clear sealer. The combined hydronic/air heating and cooling system features radiant floors and a super-efficient condensing boiler. All area rugs are natural cotton with colors that complement the blue/green color palate. Images at left show the original home as it appeared when it was first constructed and just prior to renovation. 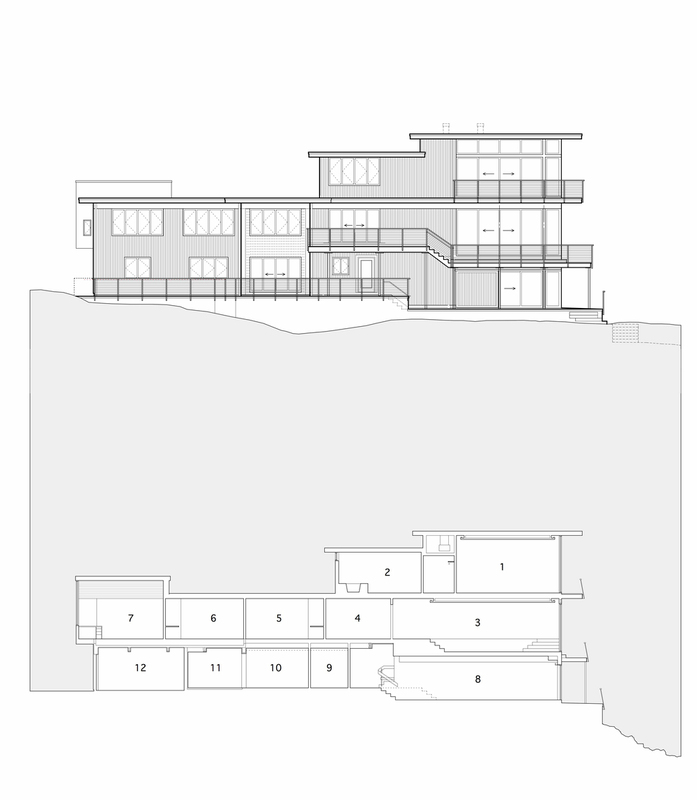 The drawings show the current building plans and an exterior elevation.